Fable: The Journey is the fifth title in the highly popular role playing series from Lionhead Studios, but its the first to be played completely on rails using a Kinect sensor. These unique features make Fable: The Journey unlike any other game in the series, and it will be the biggest reason some fans will turn away from the title, but they shouldn't. The new game may be different from other games in the series, but like Fable Heroes before it, Fable: The Journey manages to change nearly everything you know about playing Fable and still produce a fantastic tale into the world of Albion. Fable: The Journey isn't just a game fans of the series should pick up, but its also the best Kinect game available this holiday season. Fable: The Journey may be a spinoff title for the series, but it still packs a great story set 50 years after the events of Fable 3. You control a seemingly normal Albion citizen named Gabriel who happens upon series protagonist Theresa after coming in contact with The Corruption. After narrowly escaping the darkness, Gabriel and Theresa must head to the tattered spire to restore Theresa's supernatural powers and prepare Gabriel as a hero powerful enough to defeat The Corruption. Fable: The Journey presents a classic tale of a reluctant hero that eventually accepts his fate to save the world, but its a classic formula that works wonders in the Fable universe, and when you combine a timeless storyline with Lionhead's classic humor you'll encounter throughout the game, you have yet another highly entertaining game that fans of the series have to pick up and try for themselves. Even if most don't play role playing games for the exciting gameplay, Fable: The Journey still manages to have one of the best battle systems ever thanks to the all new Kinect controls. The game's controls work well with either one of your hands controlling a type of spell, and navigating your horse is simplistic enough to keep you from having to always input commands. While the on the rail, first-person point of view may turn off some gamers, it's difficult to deny how fun it is casting spells and using you Tether spell to toss about your foes, and driving around your mount while gathering special items creates a nice pacing to keep the game from becoming repetitive. As you progress through the game, you'll earn points you can spend to upgrade your character and your horse. Along with Theresa, your horse is your loyal companion for this new magical journey, and you'll feel incredibly attached to the creature by the end of the game. Eventually, you'll unlock a special Arcade Mode that allows you to relive the biggest battles and fight the toughest enemies as fast as possible, while doing your best to destroy the scarecrows scattered throughout stages. Arcade Mode is just another way to enjoy Fable: The Journey, and it extends the time you'll spend on the game in addition to its 10 hour long campaign. 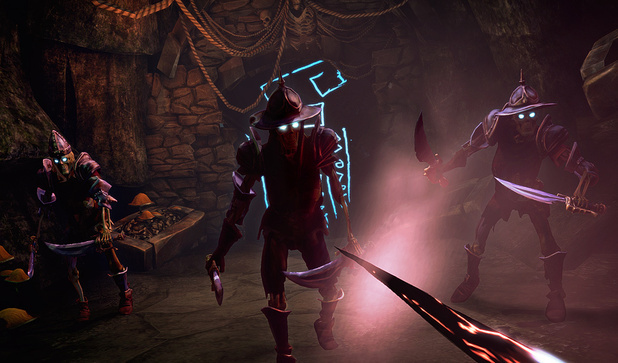 Fable: The Journey's Kinect controls work well throughout the game, especially in epic boss fights that require you to use more than brute force to down your opponents. 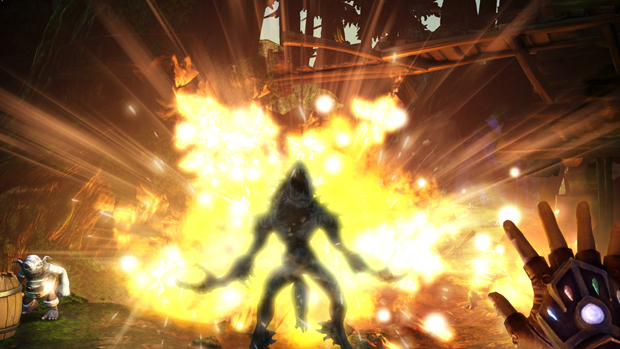 You'll find plenty of new monsters in the game, but some of the most fun fights come when hurtling fireballs and magic shards at the classic hobbes and hollow men. Fable: The Journey not only features the return of classic characters and enemies from the series past, but you'll immediately recognize the game's great artistic design and even hear many of the best tunes from the Fable series that will remind how great the series really is. 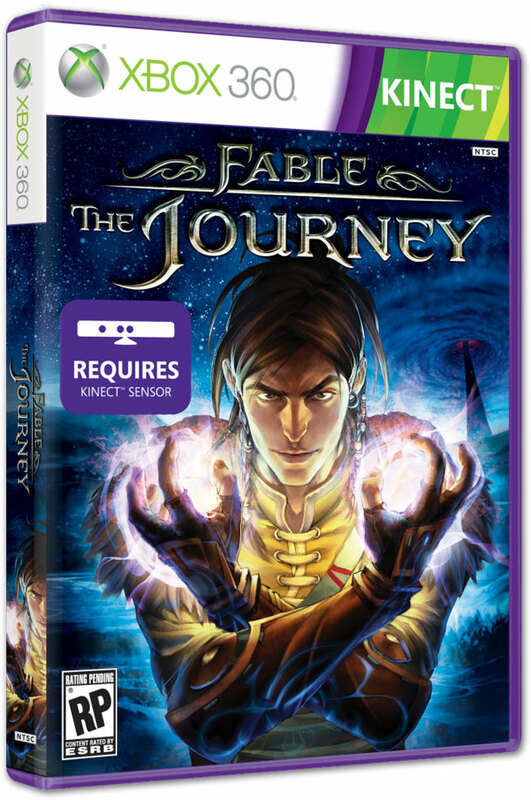 Fable: The Journey is now available from all major retailers for the MSRP of $49.99 and can be purchased exclusively for Xbox 360 with Kinect. Fable: The Journey is rated T by the ESRB for Mild Blood, Mild Language & Violence. 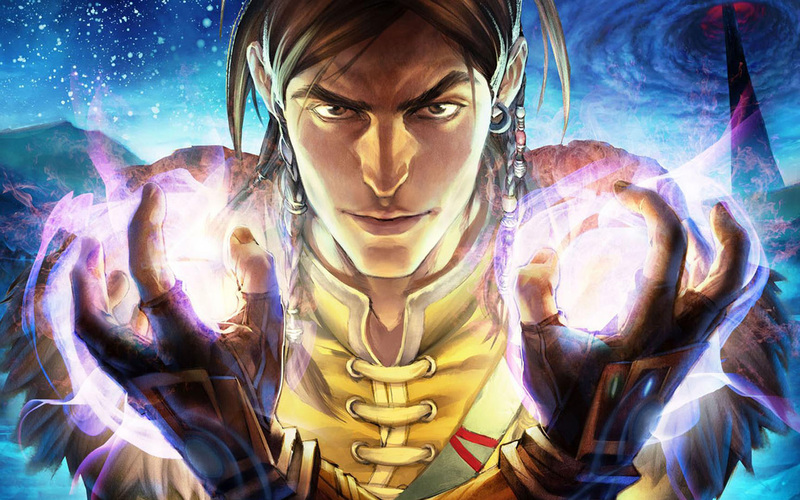 For more information on Fable: The Journey, check out the official Lionhead Studios website.